Hm. 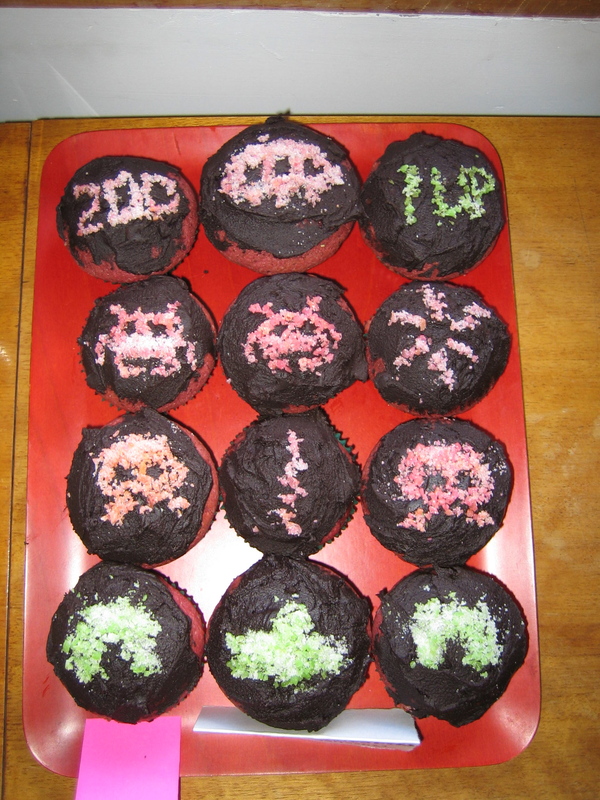 OK I used alta vista to search “red velvet space invaders cupcakes” and I’m sorry to report that you’re not on the first page. I think Giant Evil Corporation wins over… well, Other Giant Evil Corporation actually. And the cupcakes were very nice, thanks! Alta Vista you’re still not on the front page. Maybe you need to add lots of “Aussie Aussie Aussie Oi Oi Oi” type tags so Alta Vista picks up you exist or something. Actually, my top search term is “the meaning of life”. If you do an image search my Space Girl comic comes in at number 21. And I’m not really that worried about Alta Vista, just amused to see they still exist. Them and Lycos, still going strong. Ask is unfortunately still going as well. They come up with the weirdest results, and for some reason my home computer managed to accidentally get set with them as the default search engine. Sometimes they even assume you’re trying to search for something when you enter a bloody URL. Meh. Hmm… Infoseek is now called Go.com. Unless you’re Australian, of course, in which case it’s powered by Google.